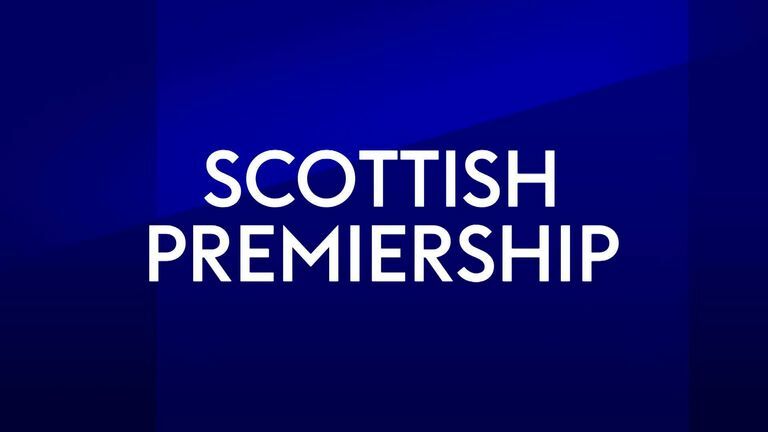 Another packed weekend of Scottish Premiership action is in store and Hearts could stretch their lead - temporarily at least - at the top of the table. Rangers and Celtic were both in Europa League action on Thursday night, meaning their respective games against Kilmarnock and St Johnstone have both been moved back to Sunday. Aberdeen are looking to end a run of three league games without victory. They take on Motherwell at Pittodrie with Stephen Robinson's side sitting ninth after one win from their opening five fixtures. Crocker's key men: Scott McKenna came into the team against Motherwell a year ago this week. He's had a decent 12 months! Richard Tait is always a consistent performer with plenty to offer Motherwell. Walker's key men: Gary Mackay-Steven is the most creative player for Aberdeen, they need his imagination to make the difference. Gael Bigirimana has started this season so well, the midfielder is one of Motherwell`s top performers. It's a big week for Dundee as they still look for their first points of the season. Neil McCann will know Saturday's game at home to Hibernian is crucial and he's without striker Kenny Miller, with the appeal his against red card at Ibrox thrown out by the Scottish FA during the week. Crocker's key men: Elliot Parish was restored in goal last week and likely to be severely tested by Hibs. Florian Kamberi was back with a bang to decide a five-goal thriller against Kilmarnock. Walker's key men: If Dundee are to climb the table they need central defenders like Andy Boyle to be on top form. It didn`t work out for Stevie Mallan at Barnsley but he has been so impressive for Hibs in the early part of the season. In a clash at the bottom of the table, 11th-placed Hamilton host 10th-placed St Mirren in Oran Kearney's second match in charge of the Buddies. Kearney managed a point against Celtic at home in his first game last Friday night. Crocker's key men: Back for a third spell with Accies, James Keatings needs to stay somewhere for a while! It's good to have Anton Ferdinand in Scotland - he should make a big difference. Walker's key men: Rakish Bingham has looked very sharp in recent weeks and is Accies' best goal threat. Jack Baird, like everyone else, will be out to impress Kearney. Craig Levein was duly awarded the Ladbrokes Scottish Premiership manager of the month trophy for August on Thursday morning after his side's perfect start to the season so far. 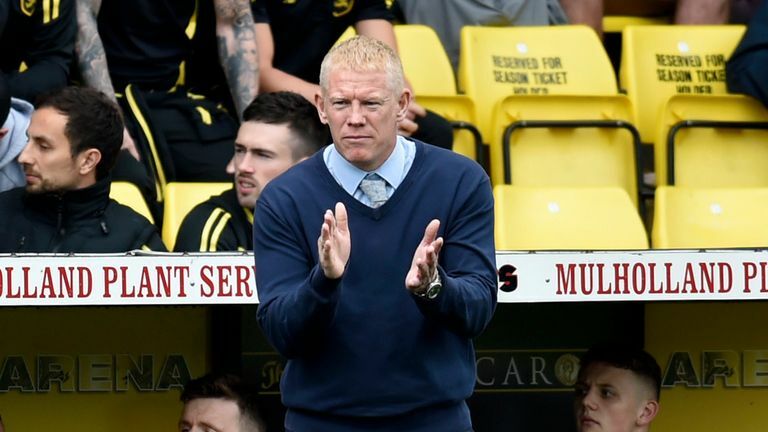 But the Hearts manager has not confirmed whether he will return to the dugout at Tynecastle when fellow high flyers Livingston make the short trip through to Edinburgh on Saturday. Crocker's key men: Doing his bit for club and country with goals galore, Steven Naismith is in the zone just now. Steven Lawless is on a mission to avoid successive relegations after Partick Thistle. Mission going well so far. Walker's key men: A tremendous loan signing for Hearts, Demetri Mitchell adds so much quality in defence and attack. Keagan Jacobs is sast approaching 250 games for the club - he`s Mr Reliable. Brendan Rodgers' side head to Rugby Park having beaten Rosenborg. Olivier Ntcham played in the Europa League, but will miss this game through suspension. Will Hearts be eight points ahead come kick-off? Crocker's key men: He seemed to go off the boil at Aberdeen but Greg Stewart has started with a purpose at Killie. Having secured his long-term future, Leigh Griffiths will be itching - seriously itching - for more starts! Walker's key men: Kirk Broadfoot was unlucky to concede a penalty last week at Easter Road but is a big player for Stevie Clarke`s men. On loan from Leicester City, Croatian defender Filip Benkovic has a marvellous opportunity to impress. These two sides are level on points in the fledgling table but Steven Gerrard will hope to see his side avoid a repeat of last season's 3-1 defeat at Ibrox. They head back to domestic action on the back of a positive 2-2 draw at Villarreal. Crocker's key men: Making a goalscoring return from injury against Dundee, Lassana Coulibaly's got something about him. Two goals in two games for David McMillan - he's setting the standard from the Dundalk days! Walker's key men: James Tavernier attracted interest from West Brom in the transfer window but has now committed to Rangers long term. As reliable as ever, Richard Foster is a good experienced pro who serves St Johnstone well. St Johnstone defender Richard Foster has helped his side to four clean sheets in his nine appearances in all competitions.